Cristal Hernandez – rising star in the programming department at Global Nation. She finished university with honours and was the most sought after graduate in her class. 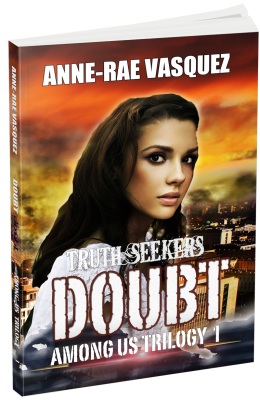 She is addicted to her online games including Harry Doubt’s Truth Seekers. She is a non-believer. This page is her diary journal where she writes her thoughts, ideas, theories and notes. Attention Jo: Here are your mission details. Harry Doubt contacted Cristal within the Truth Seekers alternate reality game private messaging. “Cristal, we hacked into the Global Nation database and found some information that might help Gabriel find out what happened to his family. Meet him in 10 minutes to show him the files. Bring Kerim with you as backup. She looked down at her watch. She had been standing outside the Global Nations building for thirty minutes. What was taking him so long? Before she started texting Harry, she heard an engine roar from a distance. She looked up and saw Kerim Ilgaz, dressed in a leather jacket and black jeans riding into the Global Nations parking lot on his Harley. He slowed down and then stopped his bike in front of her. He removed his helmet, his dark wavy hair was slicked back. He removed his sunglasses to reveal his dark grey eyes. Her heart skipped a beat. He waved for her to climb onto his bike and handed her a black helmet. She paused only for a moment so as not to show her apprehension, and quickly put on the helmet. She stood in front of him. Was he going to help her on? Instead, Kerim gave her a wink and motioned with his head for her to climb on. He looked so inviting. He reached out his hand. She held it as he helped her on. “Hold tight Cristal,” he called back to her. Cristal leaned close to him, feeling the warmth of his body against hers. 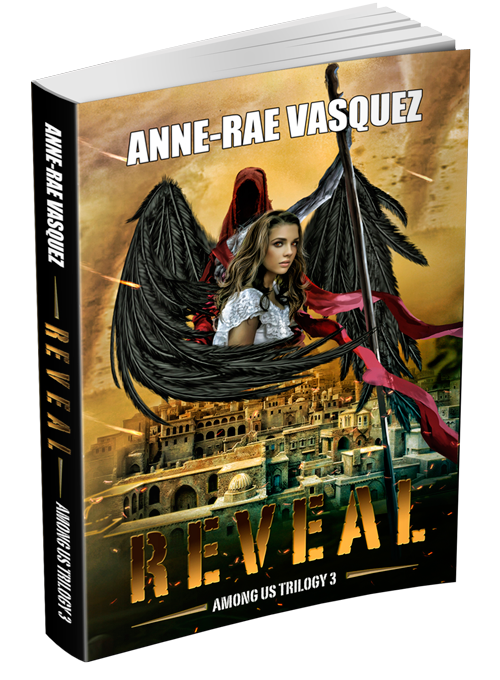 She closed her eyes as he started the motorcycle, the sound of the motor roaring underneath her. She treasured the moment hoping it would last forever but no sooner the thought entered her mind, they arrived at Gabriel’s apartment. Now back to the mission on hand. They entered the building and entered the elevator. They rode in silence until they reached the fifth floor. She led Kerim to Gabriel’s apartment. Cristal looked at Kerim briefly before knocking on the door. He nodded his head and gave her a wink. She felt her cheeks blush red. The door opened a crack, then swung open wide. Gabriel gave her a warm smile. Cristal opened her mouth to speak when she heard Kerim cough. Gabriel’s eyes widened and his smile disappeared. He looked over her shoulder, noticing her companion behind her. *She frowned, surprised that Harry didn’t tell Gabriel that she wasn’t coming alone. He knew that they had to be careful. She understood Gabriel’s hesitation about having Kerim show up at the door unannounced. After all, he was new to the Truth Seekers and his attitude wasn’t helping matters. She knew if she lost her temper, Gabriel wouldn’t let either of them in. The point was that there was a job to do and only she could do it. She took one step forward. She reached for his hand. He looked at her but stood still. She stepped closer, letting her eyes meet his stare. * congratulation Jo. Your contribution will be added into the chapter. Go to Mission #2 to find out what happens next. Question: Describe your reaction and what you do next… Do you go in by yourself? You have a mission to complete but Harry said to make sure Kerim is with you. Some facts: Your data files can only prove that Gabriel’s family’s disappearance was tied to Global Nation in some way. There is too much data to decode. Nobody has the programming skills to do this but you. Action: Please include photos of locations, or events (ie. apartment, or street) as this will help others in the team visualize the events. We suggest you take photos with your phone camera. Click on the Add Media button above to upload your images. Good luck with your mission. If it is successful, we will integrate the event you describe into the future chapter. You will be given credit on the Acknowledgement page. Action: Follow the instructions in the screencast below to edit this page. Your edits will be reviewed and edited as needed by me before publishing. click the link “Among Us-Trilogy book series” at the top left corner of the page. Click on Dashboard in the drop down menu which will take you to the Dashboard of the site. You have privileges to contribute or add to to other posts. Click here to watch a tutorial on how to edit your character. Remember: Respect other people’s posts by not making rude comments or write anything inflammatory. amongus, cristal, online game, transmedia, truthseekers, urban fantasy, writing. Bookmark.